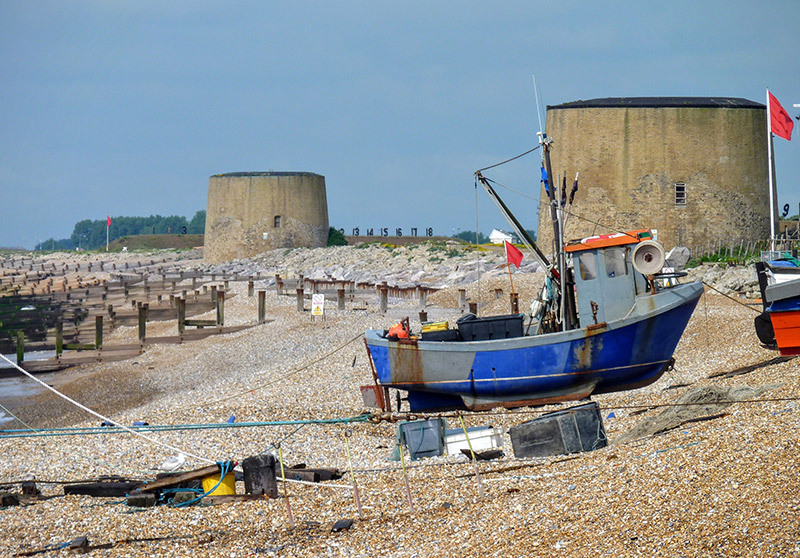 Hythe is one of the famous historic Cinque Ports. Its impressive historic Parish Church, St. Leonard’s, famous for its ossuary, and old houses in the narrow hilly streets above the town, contrast with the spacious promenade overlooking the vast expanse of safe bathing and fishing beaches. Renowned in the past for its Cinque Port Fleet, providing ships for king and country, fishing boats still come in every day bringing fresh fish that can be purchased at Fisherman’s Beach. In our High Street and surrounding areas shops large and small will attract you with their choice and courtesy as will the numerous selection of hotels, restaurants and pubs attract you with their quality accommodation, food and drink. Recreational facilities to suit all tastes are to be found in and around Hythe – golf, tennis, bowls, swimming and boating, or for the less energetic take a stroll along the banks of the Royal Military Canal or a ride on the world’s smallest public railway. The 2020 Festival will be featuring Arts and Heritage from the town and its surrounding area. Planning has been underway since October 2018, to develop existing events and introduce new ones..
Hythe and the surrounding area has a wide range of accommodation on offer. You can find further information at Information Britain or visitkent. There will be Raynet marshalls and security at all major events throughout the festival. NO DRONE PHOTOGRAPHY IS PERMITTED. WE WORK HARD TO KEEP THE FESTIVAL FREE OR AT NOMINAL COST, SO VENDORS UNAUTHORISED BY HYTHE FESTIVAL ARE DISCOURAGED. PLEASE USE THE RUBBISH BINS PROVIDED. Bus services in Hythe and East Kent are currently operated by Stagecoach. Up-to-date route information and timetable lookup are available at www.stagecoachbus.com/eastkent. National Express currently runs coach services to and from Hythe several times a day. You can search for coach times and buy tickets online at www.nationalexpress.com. Sandling station is the closest to Hythe with bus services to the town centre, while Folkestone Central is 4 miles away. You can use National Rail Enquiries' online Journey Planner to find timetables for train services to Westenhanger and Folkestone Central.